A little-known research group inside the prime minister’s own department has been looking at whether public servants should be offered electronic fitness-tracking devices to help reduce their health insurance premiums. Wearable fitness trackers, such as smartwatches, also could be used to reward fitness-conscious employees through loyalty points programs, such as the travel points program offered by Aeroplan. Such tracking devices have evolved rapidly in recent years, from the debut of the Fitbit a decade ago to today’s armbands and sensor-equipped shoes. Activity trackers can monitor and record stats on heart rates and sleep, as well as walking and running distances. “Interactive insurance policies give consumers the opportunity to receive discounts on premiums for sharing health-related information through wearable tracking devices,” says the memo. It suggests the technology could be used to cut costs in the 600,000-member Public Service Health Care Plan, administered by Sun Life Financial. No insurance companies in Canada, including Sun Life, currently offer premium reductions for the use of fitness trackers, the memo notes. But adding a fitness-tracking element to the federal health plan could be a way “to introduce interactive policies to more Canadians,” it says. The document does acknowledge the drawbacks — including privacy concerns about misuse of the data. The memo indicates fitness tracking for public servants would be entirely voluntary, but raises the spectre of insurance companies one day insisting members either use the devices or pay higher premiums. 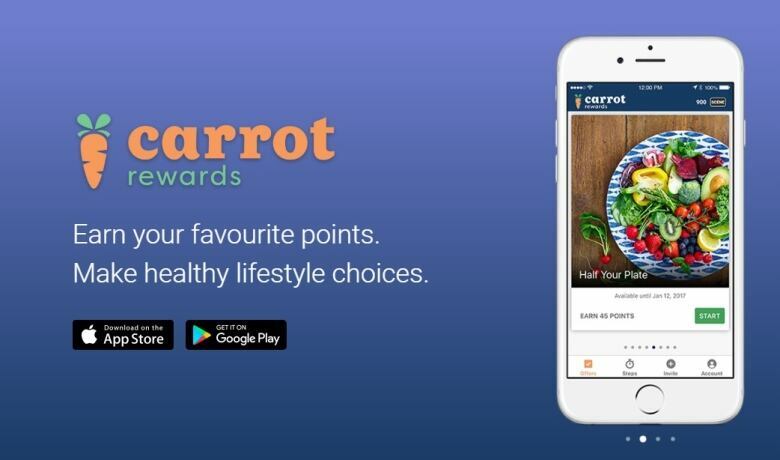 Another proposal would have the federal government sign up for a loyalty program, such as the one offered by Carrot Rewards. Such a program would use a mobile app to offer employees Aeroplan, Scene, Petro-Points and other point-based rewards for good fitness as measured by the devices. The memo says Ottawa would face a “significant financial investment” for a rewards program covering all 262,000 federal workers (no cost estimate is given), although the memo notes that RCMP and the Canadian Forces have banned wearable technology for security reasons. Also, workers with disabilities or mobility issues might not be able to take full advantage. The memo also cites research raising questions about whether fitness-tracking technology changes behaviour in the long run. One study found that the tech’s health benefits weaken after about 18 months. The Conservative government in 2015 committed $5 million to a Carrot Rewards fitness project in British Columbia aimed at the general public, but the concept has not been tested in the federal workforce. The research group “often undertakes exploratory research to examine a wide range of topics before determining where to dedicate its resources,” Stephane Shank said in an email. A spokesperson for the Public Service Alliance of Canada, representing 180,000 workers in the public sector, said the federal government has not advised it about the research. “We are also not aware of any department or agency that has implemented this concept,” said Alroy Fonseca.